Tradeshow Booths will be assigned on a first-come, first-served basis. 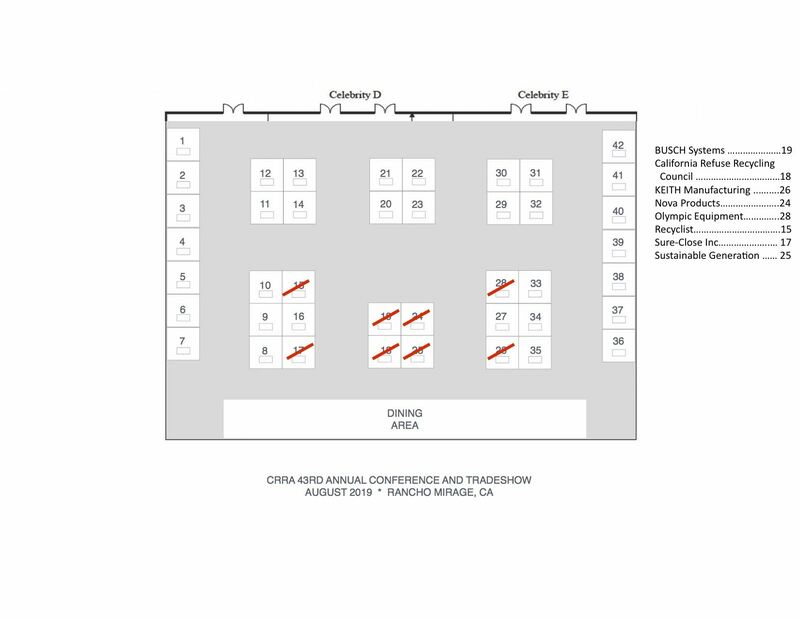 You will be asked on the registration form for your three (3) booth number preferences. Confirmation of booth numbers and notification will be given within 24 hours of registration confirmation. When paying by check, payment must be received within 30 days to guarantee your booth. As space is limited, we cannot guarantee extended holds on unpaid booths. ***ALERT: If you receive a call from Expo Services, Exhibit Management Housing Reservation Team or any other organization stating that they are managing exhibitor housing for CRRA's conference - please disregard. They are not a licensed partner of CRRA. Please email Lauren with the name and telephone number of anyone who may contact you from this company.